Nice shot Pat. I do like that background. I found the Tule Elk very skittish at Point Reyes compared to the Rocky Mountain Elk we see in Yellowstone. I guess they just aren't as used to having people around which isn't necessarily a bad thing. Nice colors and detail Pat. Thanks, Alan! I've had mixed encounters with the elk in the park. 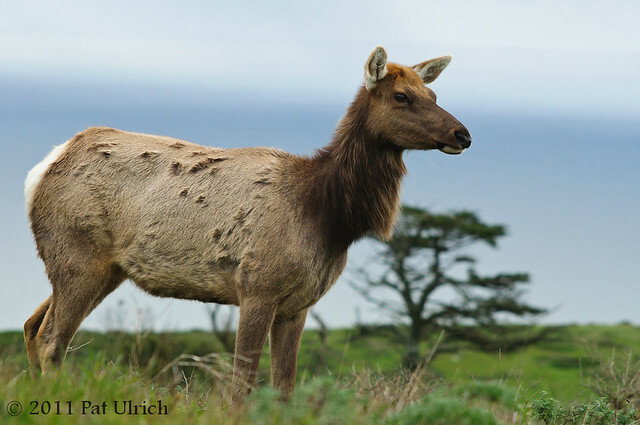 The herds that roam the areas around Drake's Beach and Limantour always appear pretty skittish, but the herds within the Elk Reserve can be fairly accepting of people. There are definitely groups that want nothing to do with people, but I have had the pleasure of standing right in the middle of a herd on a number of occasions. I think a healthy wariness of people isn't necessarily a bad thing though.